Although there are many projects around the house that a handy Do-It-Yourselfer can attack, there are certain projects better left to your local SERVPRO. 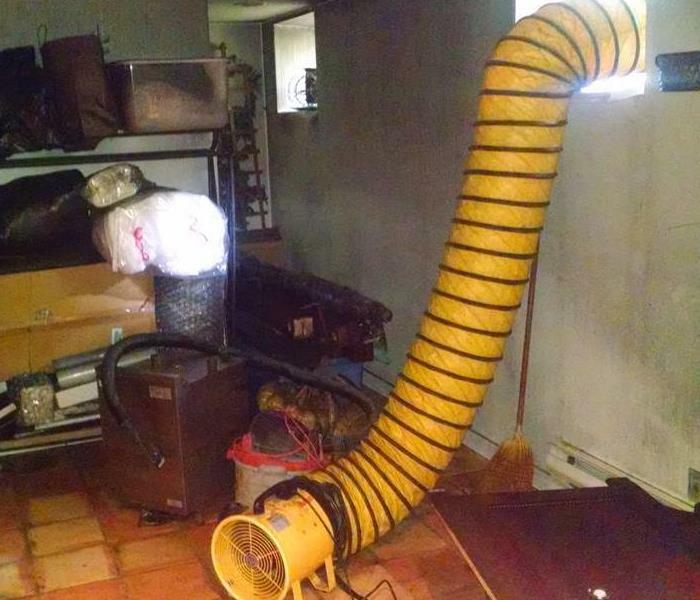 This was a water damage that, unfortunately, turned into a mold remediation project. 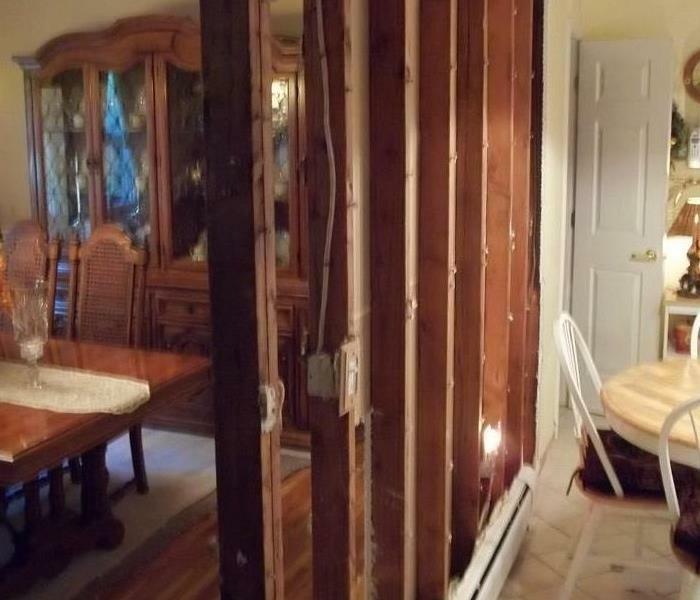 When SERVPRO of North Morris County is called out on a water loss, moisture measurements are taken to see just how far the water has migrated, and what structural materials have been affected. In the particular case, it was necessary to remove only the wall of two adjacent rooms. 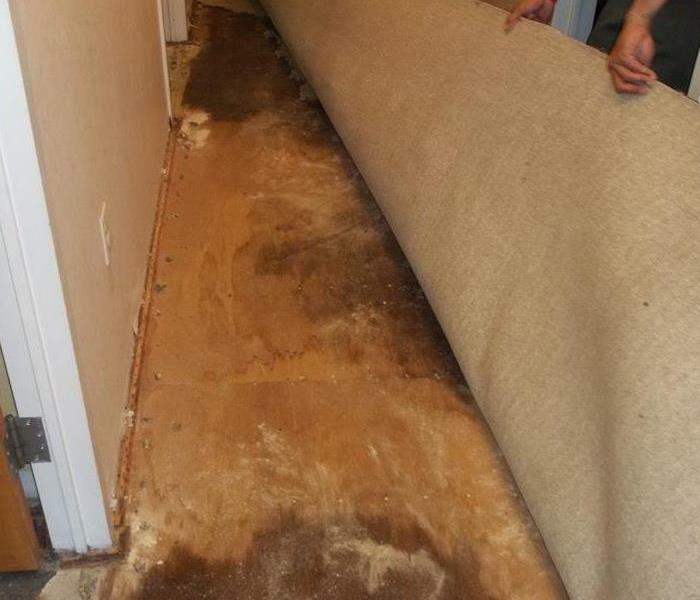 Many people assume when a carpet is water damaged, the carpet must be replaced. However, many times when "clean" water has affected a carpet, we can use a technique called "floating" the carpet. 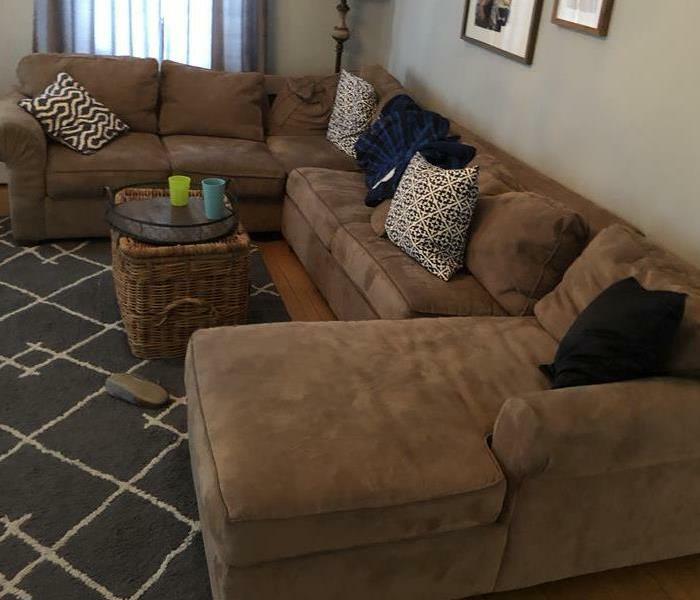 In this scenario, we lift the carpet, remove typically inexpensive padding, and run air underneath. 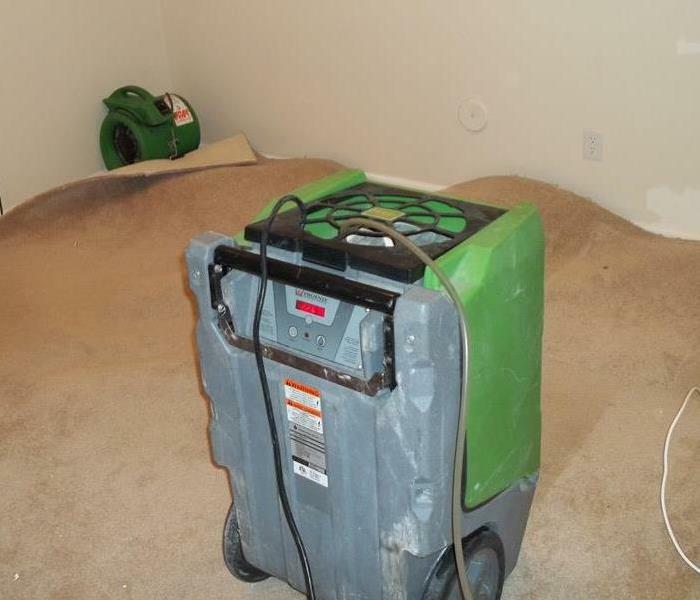 This evaporates the moisture into the air and is removed by an industrial strength dehumidifier. After the storm was over and your sump pump burned out trying to keep up, this is NOT the time to find out you do not have sump pump coverage. If you have a sump pump, contact your insurance agent and find out today! 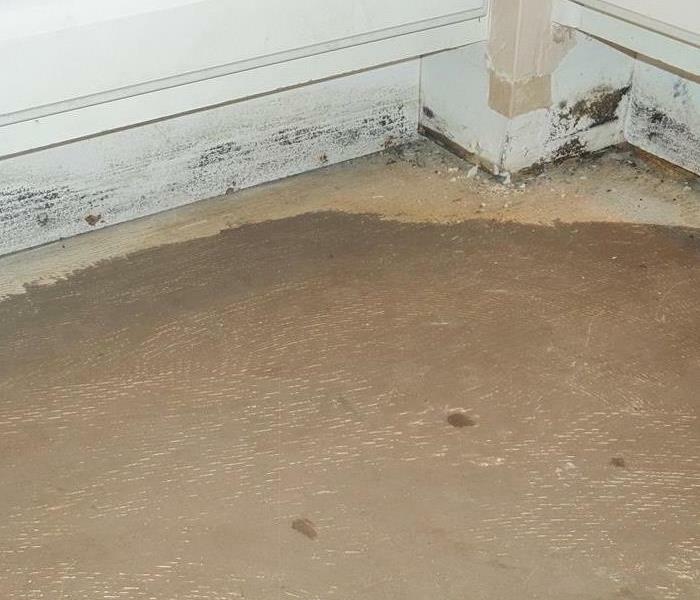 Regardless of wear water originates, such as seepage from a bad storm, if it is not mitigated properly, mold may be the result. 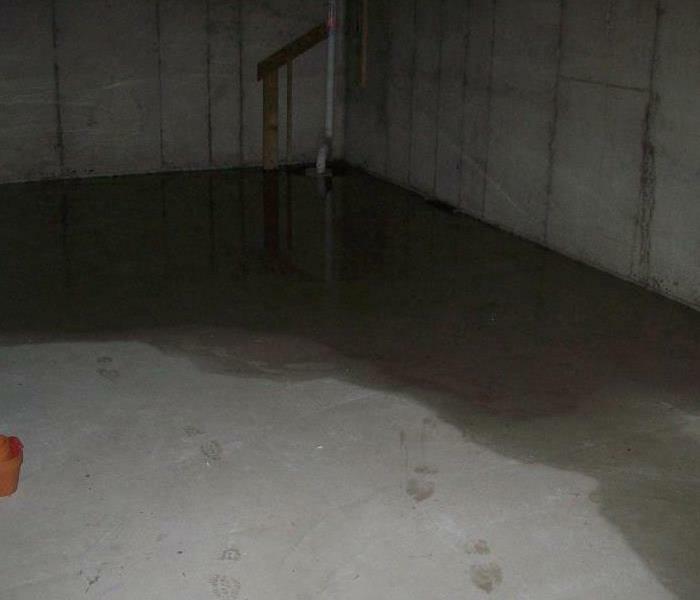 After extracting the balance of the water in this basement, affected surfaces were treated with an antimicrobial and then industrial drying equipment was brought in to bring this back to preloss condition. 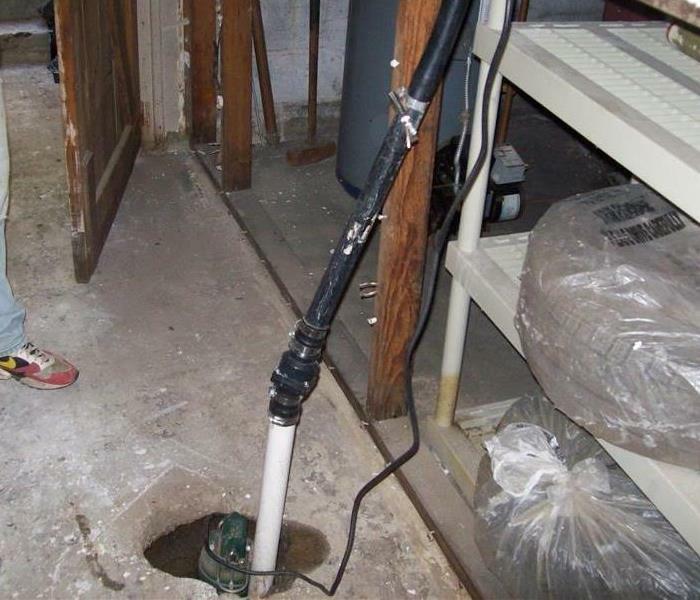 When the flooding began, this sump pump could not keep up with the volume of water it encountered. Fortunately, the insured had coverage for the overwhelmed apparatus. SERVPRO of North Morris County brought in additional pumps to bring things on the road to recovery. Heavy rains for a few days and landscape that drained TOWARDS the house was the recipe for a flooded basement after a storm. In this case, the water came through the windows and not from seepage. SERVPRO of North Morris County provided the emergency mitigation. Whether a wood floor is removed or not has much to do with whether the floor is "crowning" of "buckling". Typically, the former can be dried out and brought back to salvageable condition. The latter, as in this case, needs to be removed and replaced. 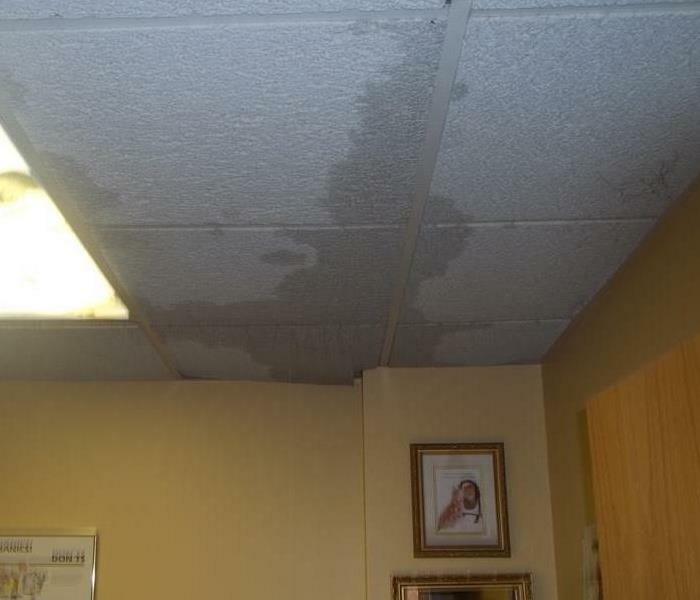 In this particular case, the water damage was not covered by insurance so the business owner was trying to minimize the total cost of mitigation. They were relieved to find out that the carpet could be dried out and would not have to be replaced. Sometimes you can rent an office space be are affected by an emergency from an upstairs neighbor. In this case, it was a hot water heater that leaked through the ceiling. SERVPRO of North Morris County was on site performing mitigation within two hours. When SERVPRO of North Morris County arrived at this office building due to a water loss, the manager felt that the carpet/floor in this hallway had not been affected. After using our hydro sensor to measure the moisture levels, we lifted the carpet to show the floor, indeed, had been affected. SERVPRO of North Morris County understands it is critical to keep the doors of a business open if at all possible. In the case of this dentist's office, we were able to limit the water damage and keep it quarantined so the doors never closed. Depending upon the type of fire an enclosed area, like a basement, can have significant smoke damage. Aside from the cleanup that needs to be done, the air quality can suffer considerably. In this case an air scrubber was run during the cleanup to both clean the air can help with the odor. 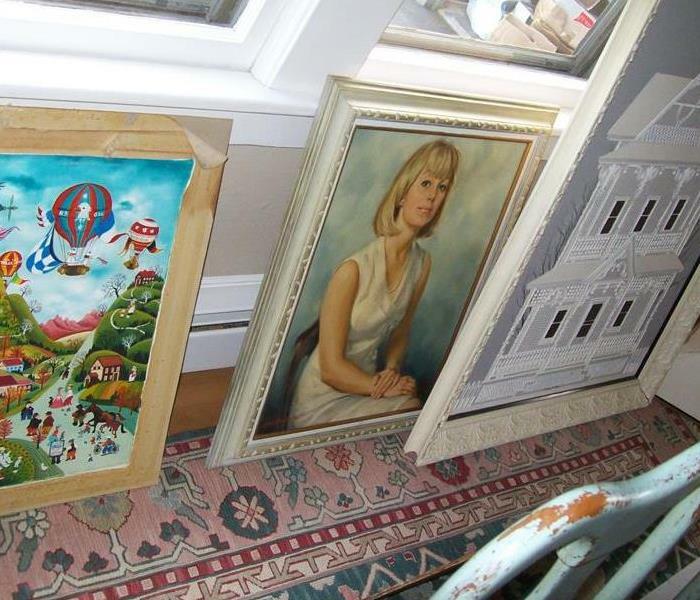 Sometimes after a fire certain specialty items, such as artwork can be affected. It is important, especially with extremely valuable items, they are handled properly so they can be restored to preloss condition. SERVPRO of North Morris County has the expertise can make this happen. There are two different approaches after a fire, if the structural materials do not need to be removed. One is called "clean-to-clean". 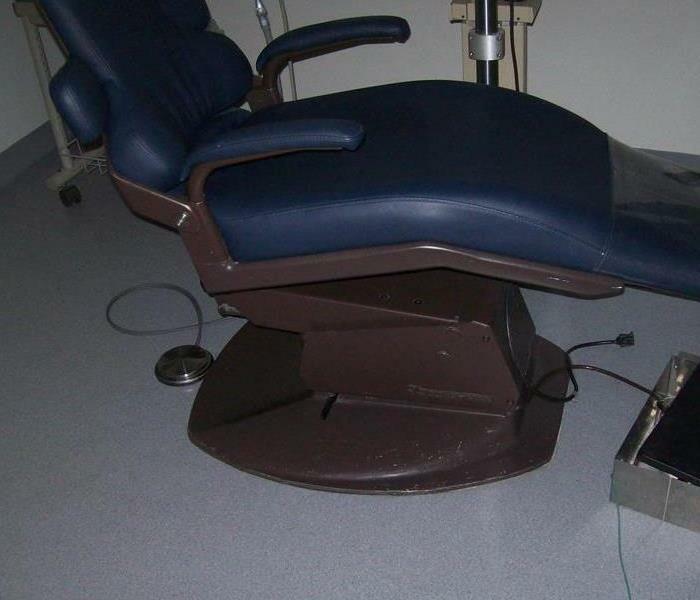 This means after the item is cleaned it has been back to preloss condition. The other is called "clean-to-paint" such as this door. This means the item can be cleaned well enough to the point where it can be painted afterwards. 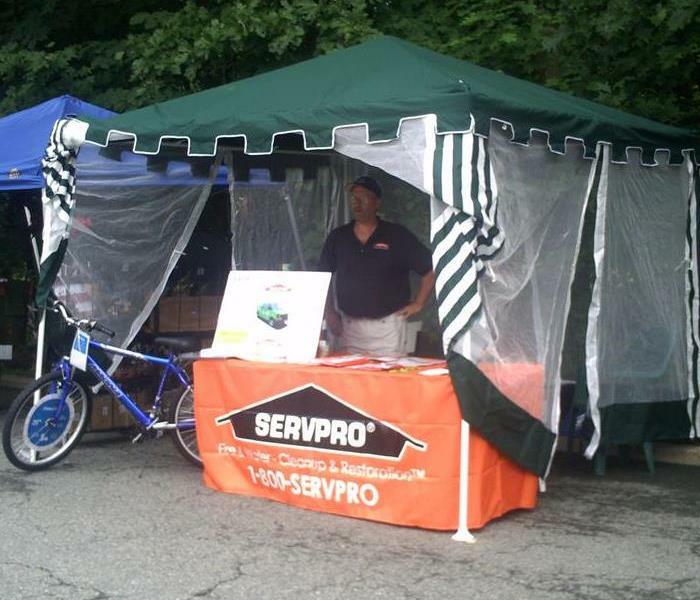 SERVPRO of North Morris County tries to be involved with their local community. In this particular town festival, good food, refreshing drinks and live entertainment was the order of the day. 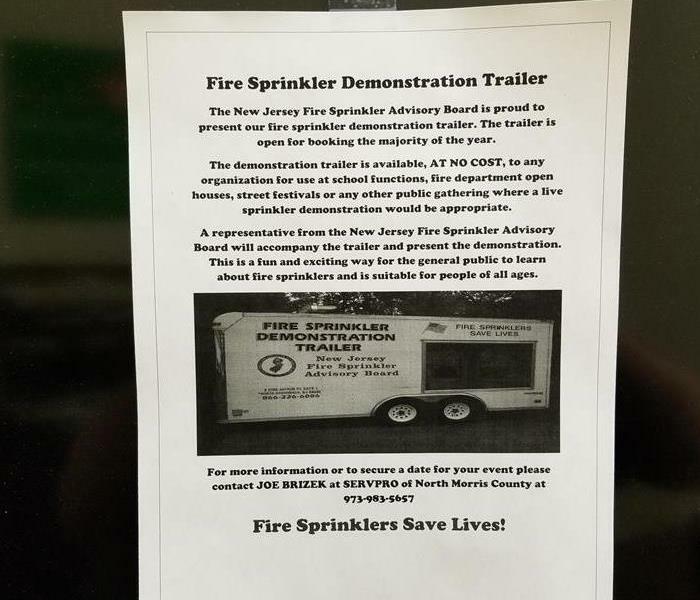 SERVPRO of North Morris County is proud to be working with The New Jersey Fire Sprinkler Advisory Board to present their fire sprinkler demonstration trailer. The trailer is open for booking the majority of the year. Although this was a minor fire, there was smoke throughout the first floor. It seemed that only the ceiling and walls were affected, but after pre-testing, the soot was found on the furniture as well. Not cleaning it could have resulted in cross contamination later. 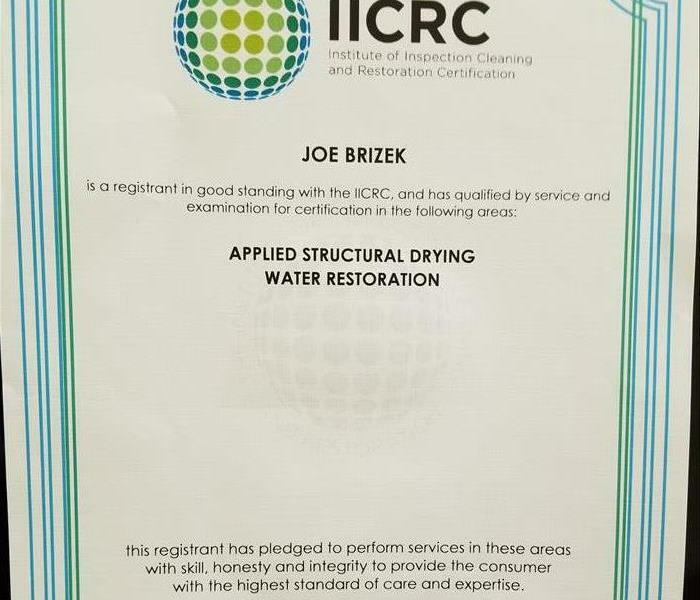 SERVPRO of North Morris County is trained and certified by the IICRC. Joe Brizek is the owner of SERVPRO of North Morris County. He is hands on and works closely with his team, involved in all projects on the schedule. If you call SERVPRO of North Morris County after hours, you most likely speak directly to the owner regarding your situation. 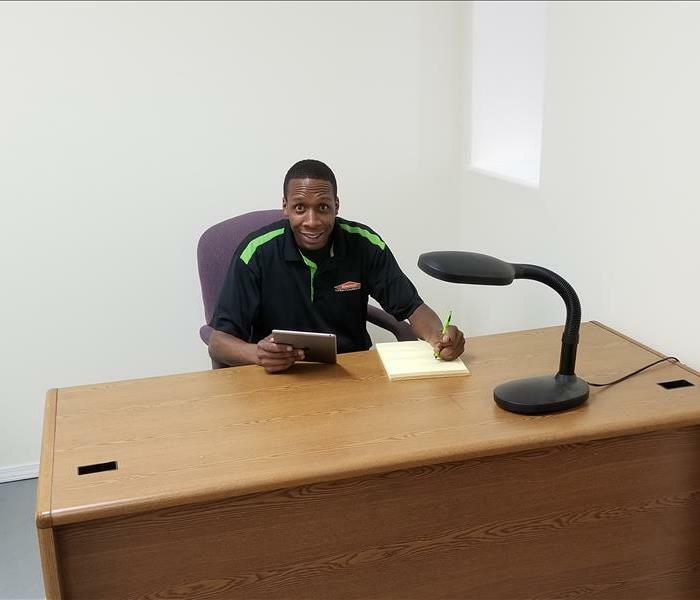 Leon has been with SERVPRO of North Morris County for over 14 years now! He started out entry level and has worked his way up through the ranks. Leon is trained and certified in water restoration, with extensive experience in fire damage cleanup and mold remediation. Our customers our impressed with Leon's knowledge, professionalism and the empathy he brings to every situation. 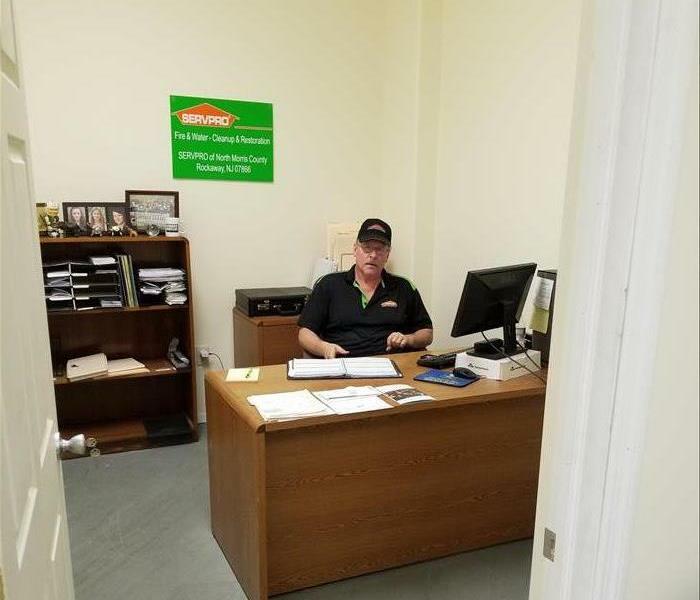 Bill Townley has been with SERVPRO of North Morris County for over ten years. Bill is knowledgeable in all restoration services including water, fire, mold and many others. 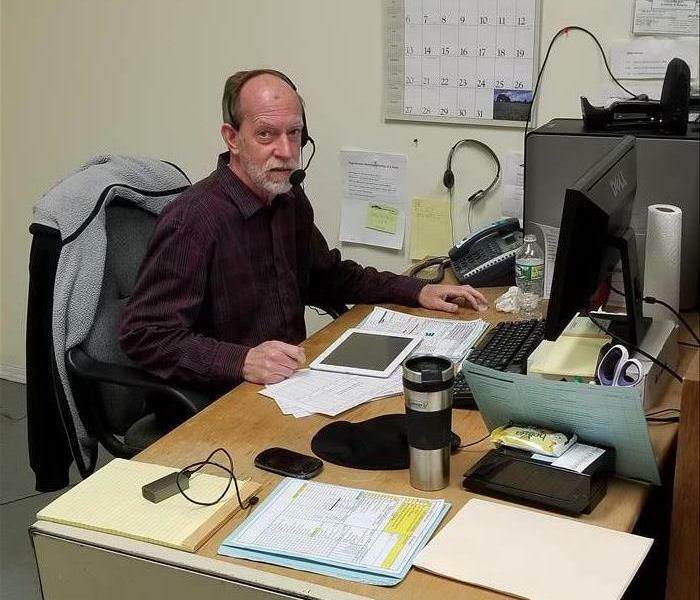 When you call our office, Bill will ask a series of questions to better ascertain your situation and needs before scheduling service with you. 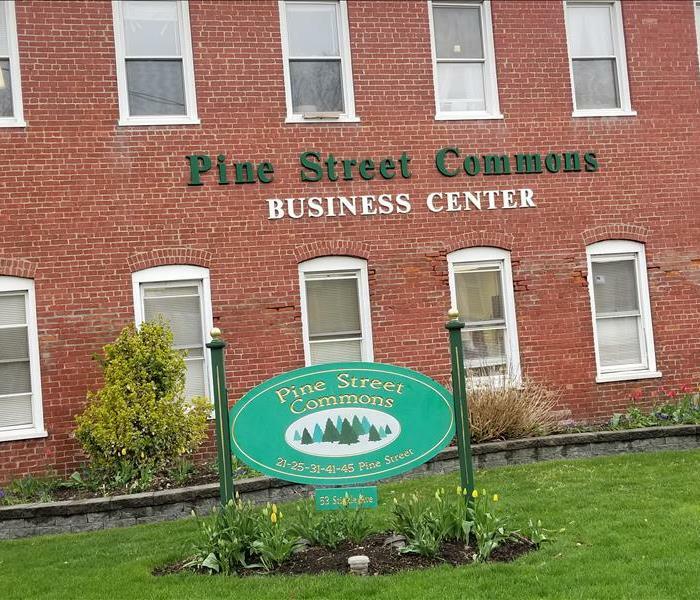 SERVPRO of North Morris County is located in Pine Street Commons at 21 Pine Street, Rockaway, NJ. We were previously in Denville but, just as before, we are still your neighborhood, premier restoration company. 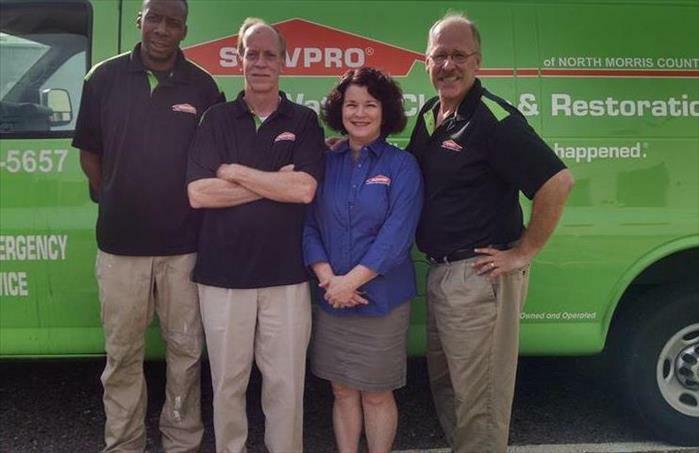 SERVPRO of North Morris County opened its doors over 14 years ago. We have been your local, premier restoration company right here in your community. Although we hope you never need our emergency services, if you or someone you know does, we are always here to help!